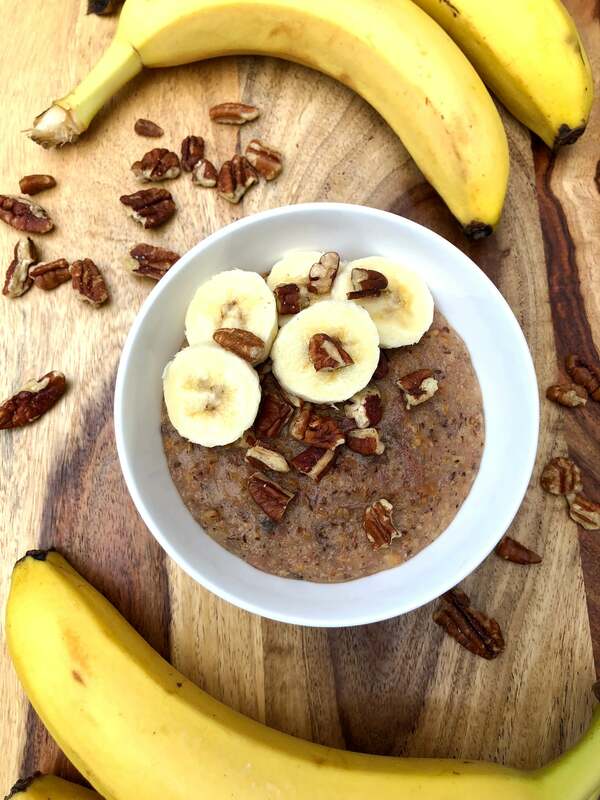 Warm, nutty, and sweet, this banana bread oatmeal is the perfect way to wake up on a chilly morning. 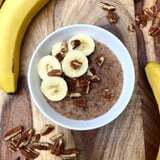 Made with steel-cut oats, a bowl of this hearty breakfast is also healthy since it offers fiber and protein to keep you satisfied for hours. Steel-cut oatmeal usually takes 40 minutes to cook on the stove, and who has time for that every single morning? With just five minutes of prep on Sunday night, you’ll have five breakfasts to spoon into all week-long (thank you, slow cooker!). 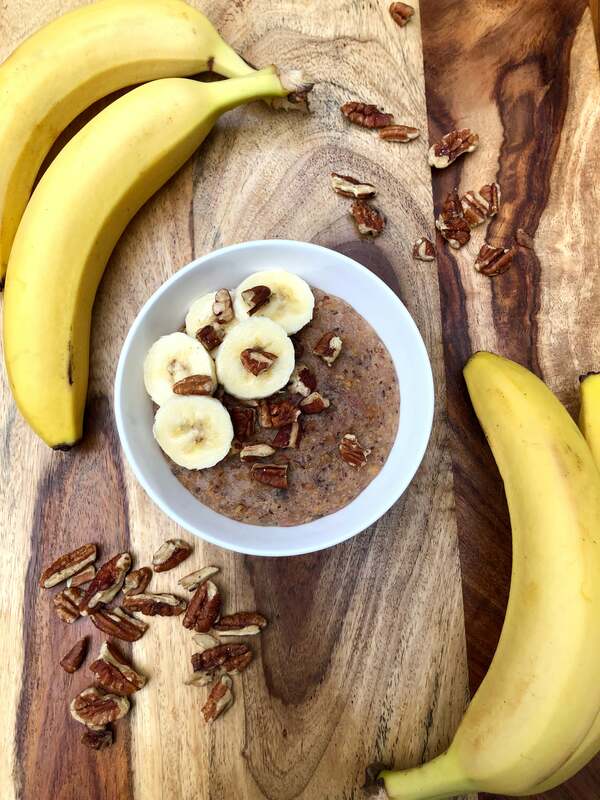 The bananas are what give this oatmeal its sweetness. I also used vanilla soy milk, and it was sweet enough topped with freshly sliced bananas – no need for maple syrup, brown sugar, or any added sweeteners. 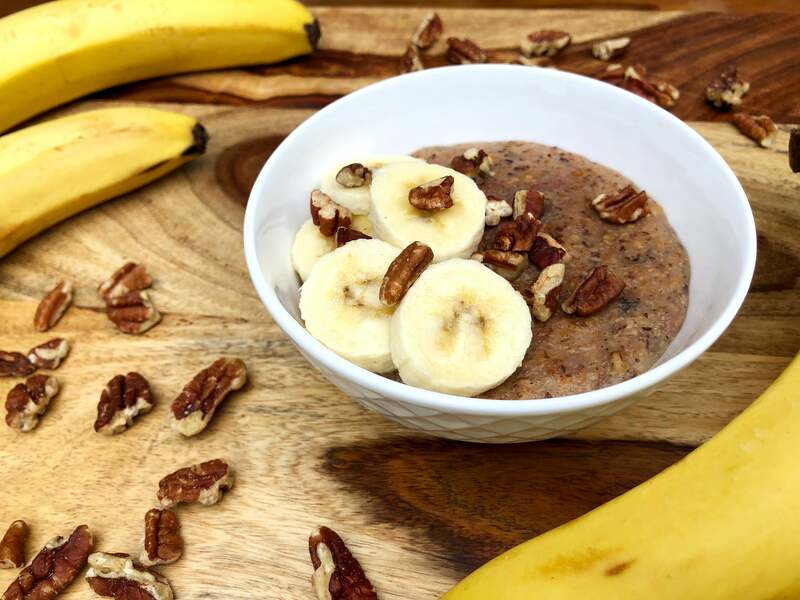 Protein-Packed Blueberry Banana Almond Oatmeal – No Dairy or Gluten! 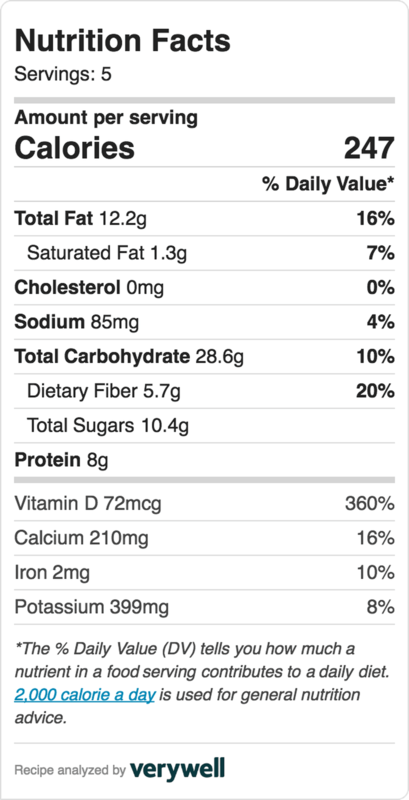 Each 247-calorie serving has 10.4 grams of sugar and offers 5.7 grams of fiber and 8 grams of protein. This leaves room to add whatever toppings you like, such as sliced bananas or other fruit, nuts, chia seeds, or a dollop of yogurt. Just scoop out a bowl to enjoy Monday morning, then divide the rest of the oatmeal among four glass containers. Store them in the fridge, and with a pop in the microwave, breakfast will be served! To take your meal prep to the next level, you could also double this recipe and freeze individual servings to have breakfast for two weeks. Coat the inside of the slow cooker with cooking spray to prevent sticking. Add all the ingredients, and secure the lid. In the morning, remove the lid, and don’t worry if it looks very soupy. Give it a good stir, and it’ll thicken up in a few minutes as it cools. Scoop out one-fifth of the oatmeal, and add your favorite toppings. Leftovers can be stored in the fridge and reheated throughout the week.